There are a number of ways to invest in New Zealand stocks. Many investors who look for exposure to global stocks as a means of diversifying their portfolios opt for developed markets. On that note, a conversation about investing in developed markets outside of the U.S. arguably should include New Zealand. Advantages of the New Zealand investment thesis include a strong credit rating and currency (the New Zealand dollar) along with some of the highest interest rates in the developed world. Here is how investors can go about adding New Zealand to their portfolios. U.S. investors can go the traditional route and invest in New Zealand through American depositary receipts. These are the shares of New Zealand firms trading on U.S. exchanges. There are a decent amount of New Zealand ADRs listed in the U.S., although investors should note only one of these firms trades on a major exchange such as the New York Stock Exchange The rest trade on the pink sheets exchange, though it should be pointed out that many large, reputable foreign companies choose this way of listing their shares in the U.S. as a way of avoiding the higher listing costs on the NYSE or Nasdaq. New Zealand stocks trading in the U.S. hail from the consumer staples, discretionary, energy and telecommunications sectors, among others. Investors looking to own a basket of New Zealand stocks without having to make the capital commitment of owning five, 10 or more equities can consider mutual funds. The caveat here is that since New Zealand is a relatively small economy compared with developed markets, most mutual funds that offer exposure to the country do so by pairing New Zealand and Australian equities. Another option to consider for exposure to New Zealand stocks are mutual funds that focus on developed markets in the Asia-Pacific region. In this case, many of these funds will be heavy on Australia and Japan and will be lighter on New Zealand. Most brokerage firms, even the online, discount variety, offer investors the chance to trade international markets. This is the way to go for investors who want access to a larger amount of New Zealand stocks. However, not all brokers offer their U.S. clients access to New Zealand. Those that do are likely to charge much higher commissions than what you are accustomed to paying to buy and sell U.S.-listed stocks. 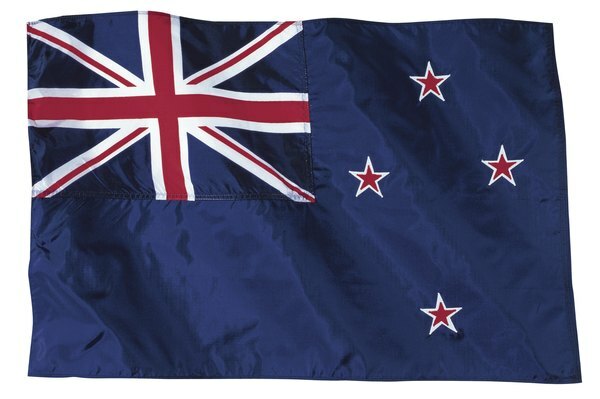 As of April 2013, there is one exchange traded fund available to U.S. investors that focuses exclusively on New Zealand. As is the case with mutual funds, there are other ETFs that offer combination exposure to Australia and New Zealand and some that feature New Zealand under the Asia-Pacific umbrella.